It’s one year now, since Ingot Studios was launched. 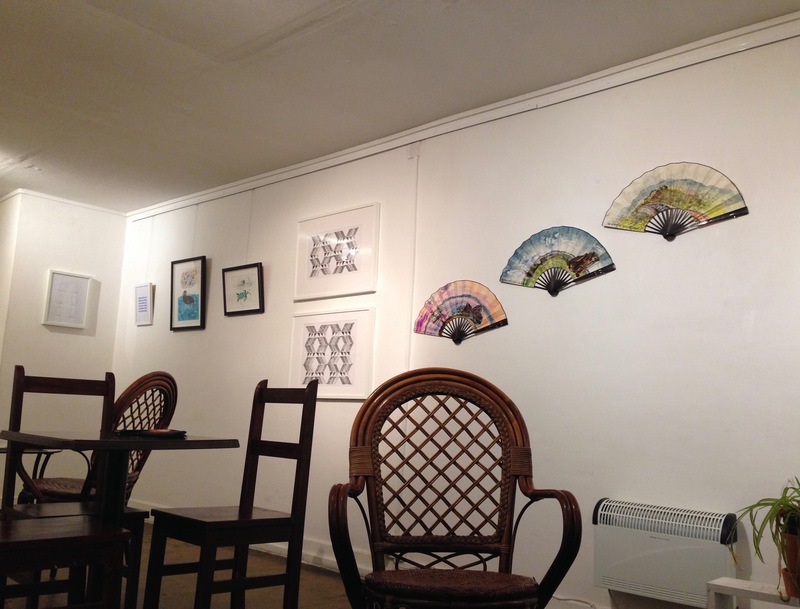 In that time, 9 artist/makers have been creating, thinking, painting, doodling, cutting, sawing, printing, etching and much more. This Saturday, at 7:30pm in P Café, we reveal some of the fruits of our labour at the inaugural Ingot Studios show. We hope to give you an idea of the range of work which has emanated from our brains and hands, as well as hosting a friendly welcome. Come along and say hello. Collaborators, makers, good people, we’re hoping that you will want to apply to become members of Ingot Studios. If so, here’s what to do. Download the application form below, read and complete the questions at the end, explaining why you would like to join and how you could contribute to the community being established. Return to ingotstudios@gmail.com by midnight on Sunday 14th June. Include a completed risk assessment form, also downloadable below. That’s it. We’ll have made decisions re shortlisting and potential interviews by Wednesday 17th June. Please book a place using the Eventbrite links above. We’re in the three story building at the back of the Travis Perkins yard, off Charlotte Road in Stirchley. We’re looking for artists, makers and people with a general collaborate bent to become members of Ingot Studios. 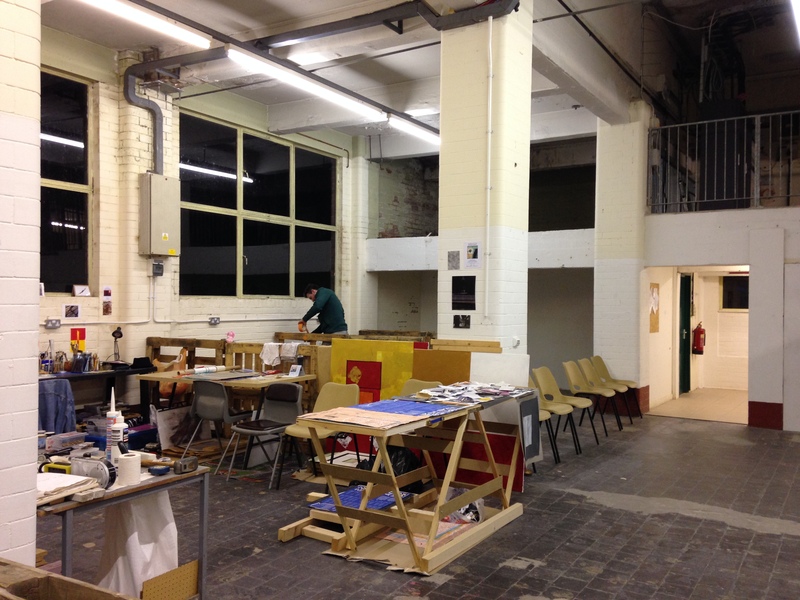 We’re arranging two open days so that you can see the space and imagine what it would be like to be part of a new creative community based in Stirchley. We’ll be on hand to show you around, answer questions and make cups of tea. If you like what you see then complete an application form (please see previous post) and return to ingotstudios@gmail.com by midnight on Sunday 14th June for the chance to become a studio holder. To book a place on one of the days, please register using the eventbrite links below. If you can’t make either of the slots then drop us an email to see if an alternative time can be arranged. To find us, head for Charlotte Road, walk through the green gate that provides access to the Travis Perkins yard and continue across, keeping to your right. 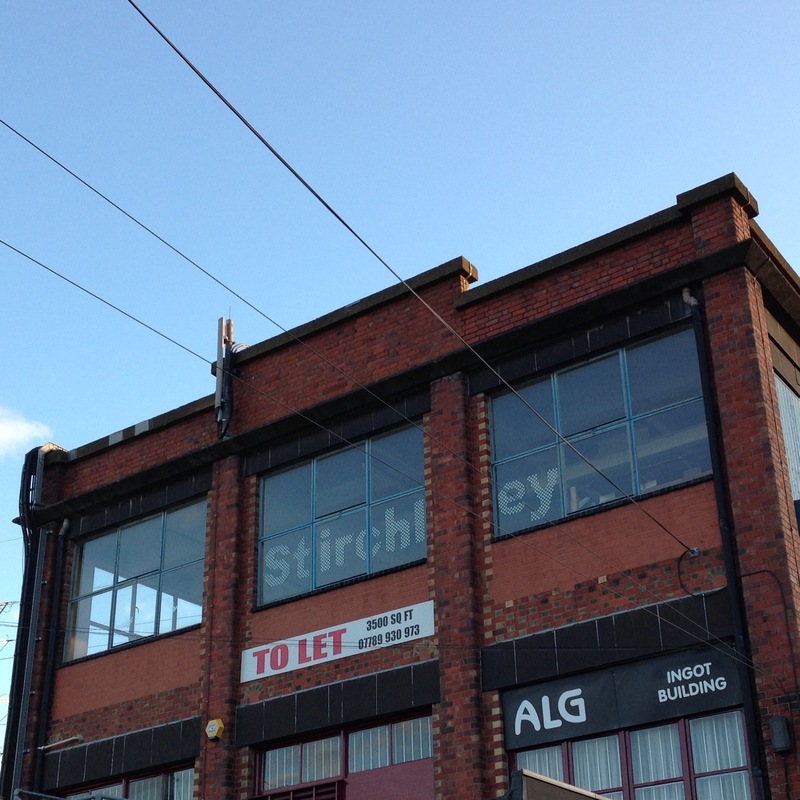 Look for the three storey building at the back of the plot with the word “Stirchley” in the windows – that’s where you want to be! 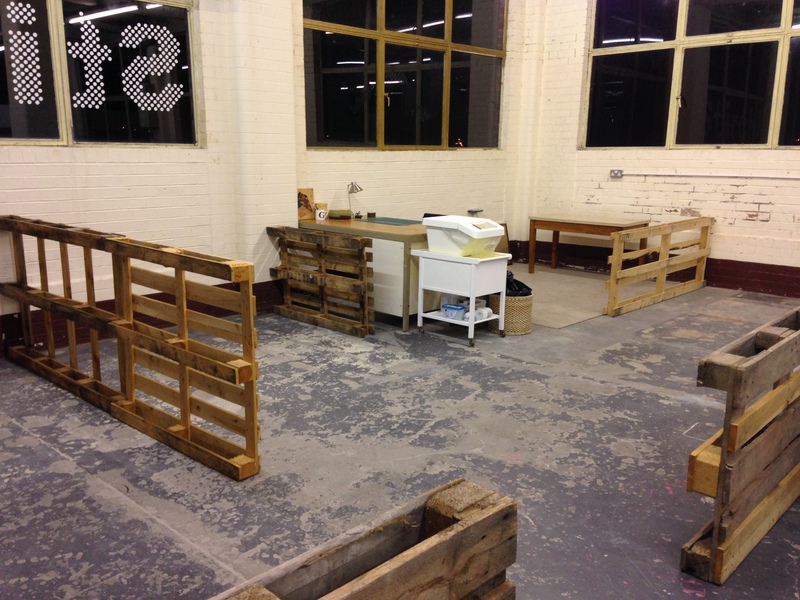 This summer we’re launching Ingot Studios – a new, shared workspace in Stirchley, Birmingham. 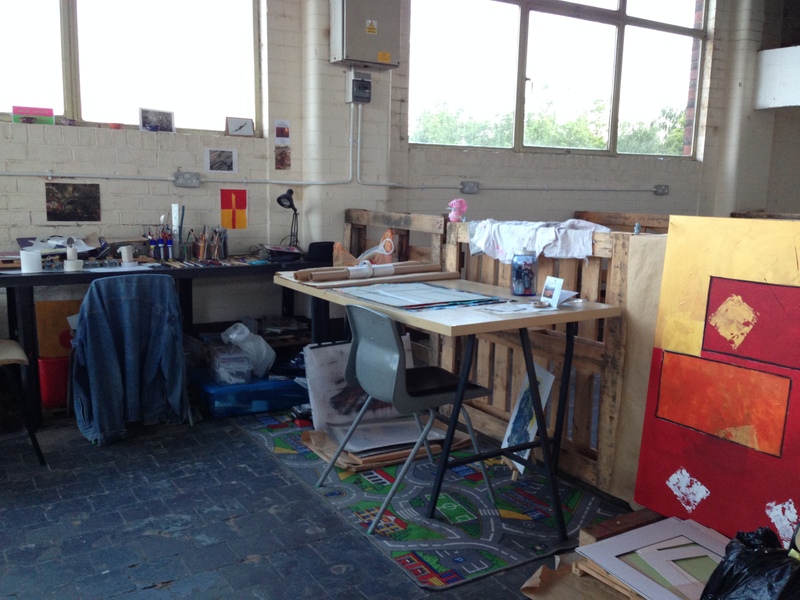 Ingot Studios is suited to artists, makers and those interested in creative collaboration, and is ideal for people looking for an affordable studio with a cooperative slant. Its open plan design, with plenty of natural light, features several communal areas and nine individual member ‘plots’, each plot measuring approximately 2.2m x 4.3m. We’re looking for nine people to become members of the Studios, base themselves in the space and help shape how it develops. Each membership lasts for a minimum of six months (starting 1st July 2015), with the opportunity for renewal. The price is £65 per month. We really hope you are interested. If so, please download the application form by clicking on the link below, complete and return to us at ingotstudios@gmail.com by midnight on Sunday 14th June 2015. We will be holding open days on Sat 6th June from 11:00 – 13:00 and Weds 10th June from 19:00 – 20:30. We will post details on how to register for these soon. Thanks to iSE, Cheryl, Katie, Matt, Roxie, Genevieve and all those who have helped with this project. Ingot Studios is a social enterprise and company limited by guarantee, company number 09187484.